Edit (June 8th, 2013) : their Website seems to have been discontinued as from 2012. After the dematerialization of books, here comes the dematerialization of booksellers! This is the idea behind French Doucet bookshop’s libraireadomicile.fr. Looking for a book idea for a gift? Needing references for a term paper ? Or maybe you have discovered a great idea in a book but can’t remember the author or title? Libraireadomicile website offers a form where you can enter characteristics of the book you are looking for. You will then receive by mail a complete bibliographic record that will help you find the book of your dreams! Wiki Art: collective works in search of an author? This trend is not only technical, it is behavioral. It has an impact on various aspects of life, including art. The Los Angeles Times provides a good analysis of this in their article “Essay: Technology changes how art is created and perceived”. The article relies on several examples. One of them is the Johnny Cash project . It is a tribute to Johnny Cash on which Web users are invited to collectively build a video clip for the song “Ain’t No Grave”. Participants can submit a drawing for each frame of the video and / or vote for their favorite designs.The result of this process of collective creation (crowdsourcing) will be the final clip. Another example is Reality Hunger , a book by David Shields, made as a collage of 600 fragments from other books. 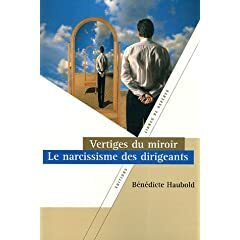 Some time ago I was able to attend an interesting presentation of Bénédicte Haubold’s book The Narcissism of Leaders , by the author herself. She interviewed executives, managers, and heads of companies to define the role of narcissism within leadership. What emerges from it, among other things, is that the same is true for narcissism as for cholesterol: there is a good narcissism and a bad. It is a force present inside each of us, which reveals that we are interested in the image that we present to others. 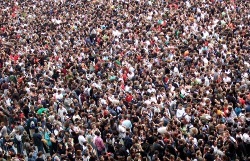 In this sense, it proves that we are interested in others. It is also synonymous with self-esteem, and self-esteem is indeed a strength. Where narcissism breaks down is when it cuts us off from reality, when we are only interested in the image that we project on others for our own sake. In the case of the leader, this pathological narcissism can have serious consequences for the company. Enter your e-mail address to be notified of new blog posts. 2. What is cooperative management ?